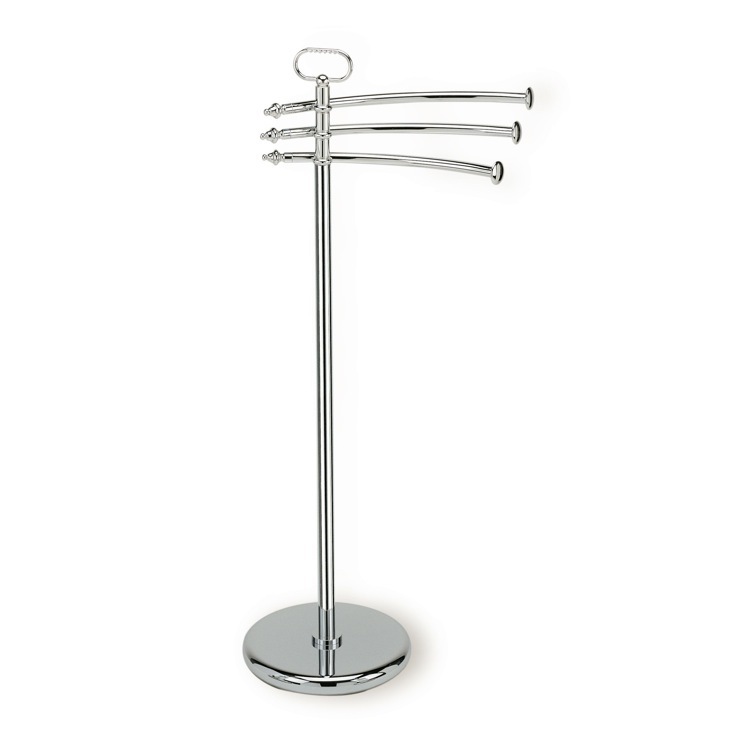 This classic-style towel stand features a rounded base as well as three separate towel rails, each holding one towel. The free standing design and the brass material make this piece a sturdy, decorative towel stand. It is available in six finishes. Arm lengths are 15.5", 14.5", and 13.5"